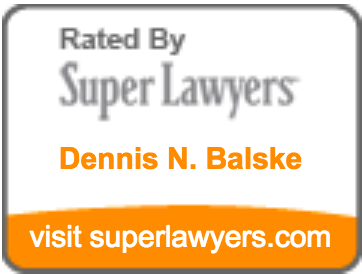 Dennis Balske is an attorney practicing constitutional law emphasizing state post-conviction and federal habeas corpus litigation at the Law Office of Dennis Balske located in Portland, Oregon. Federal Public Defender for the District of Oregon (Assistant Federal Public Defender, July 1992 – August 2003). Federal practice, including trials, appeals and habeas corpus litigation. Balske and Van Almen, Montgomery, Alabama (September 1986 – June 1992). Partner with spouse in AV-rated two-person litigation firm, specializing in state and federal criminal defense and civil rights litigation. Southern Poverty Law Center, Montgomery, Alabama (Legal Director, January 1984 – September 1986; Staff Attorney, 1978-1984). Director/litigator at public-interest-type law firm which specialized in capital-punishment and class-action, civil rights litigation. Ohio State University College of Law, Columbus, Ohio (Supervising Attorney, 1976-1977; Staff Attorney 1975-1976). Taught the criminal defense and criminal appeal practica. Tyack, Scott and Colley, Columbus, Ohio (Associate, 1974-1975; Law Clerk, 1972-1974). Litigated criminal and civil cases in a ten-lawyer firm. Member, Advisory Committee, Oregon Innocence Project (OIP) (2014-present). Chairperson, Oregon State Bar Post-Conviction Task Force (2008-09) (Task Force Drafted Performance Standards for Post-Conviction Representation). President, Owen M. Panner American Inn of Court (1997-99). Program Chairperson, Owen M. Panner American Inn of Court (1995-97). Member, Capital Habeas Corpus Rules Committee, United States District Court for the District of Oregon (2007-present). Member, Oregon State Bar Federal Practice and Procedure Committee (2004-2005). Faculty Member, Bryan Schechmeister Death Penalty College, Santa Clara University, Santa Clara, California (1993-2008). Co-Chairperson, Capital Defenders, Oregon Criminal Defense Lawyers Association (2004-present). Member, Oregon Public Defense Services Screening Committee for Capital Defenders (2004-present). Member, Supreme Court (Alabama) Advisory Committee on Criminal Procedure (1985-1992). Board of Directors, Alabama Capital Representation Resource Center (1988-1992). Criminal Defense Bar Representative, Chief Justice’s (Alabama) Prison Review Task Force (1987-1988). Co-Chairperson, Amicus Curiae Committee, National Association of Criminal Defense Lawyers (1987-1989). Chairperson, Death Penalty Committee, National Association of Criminal Defense Lawyers (1983-1987). Chairperson, Systems Subcommittee, Chief Justice’s (Alabama) Task Force on Indigent Defense (1989). Representative, Alabama State Bar, United States Court of Appeals for the Eleventh Circuit, Judicial Conference (1987-1990). Chairperson, Alabama State Bar Indigent Defense Committee (1983-1990). Member, Supreme Court (Alabama) Advisory Committee on Indigent Defense (1982-1987). Executive Director, Alabama Criminal Defense Lawyers Association (1983-1984). Board of Directors, National Association of Criminal Defense Lawyers (1983-1989). President, Alabama Criminal Defense Lawyers Association (1981-1983). Chairperson, Amicus Committee, Alabama Criminal Defense Lawyers Association (1981-1982). Founder, Alabama Criminal Defense Lawyers Association (1981). Assistant Editor/Reporter, Alabama Criminal Defense (1981-1985). Oregon Criminal Defense Lawyers Association, Federal Habeas Corpus Law for Capital Defense Lawyers (October 2016). Oregon Justice Resource Center, Defense of Battered Women, Portland, Oregon (November 2015). Oregon Criminal Defense Lawyers Association, Death Penalty Defense Keynote Address, Gleneden Beach, Oregon (October 2013). Federal Public Defender for the District of Oregon, Capital Post-Conviction: Working With Experts (May 2011). Oregon Criminal Defense Lawyers Association, New Post-conviction Standards and Strategies, Eugene, Oregon (March 2010). Oregon Criminal Defense Lawyers Association, Capital Post-conviction Litigation, Salem, Oregon (May 2009). Oregon Criminal Defense Lawyers Association, The New PCR Performance Requirements, Salem, Oregon (March 2009). Oregon Criminal Defense Lawyers Association, Strengthening the Defense Function: A Cooperative Effort, Hood River, Oregon (October 2007). Oregon Public Defense Services, Preserving Issues for Federal Habeas Corpus Review, Salem, Oregon (October 2007). Oregon Criminal Defense Lawyers Association, When the Expert Lies, Portland, Oregon (December 2006). Federal Public Defender/Oregon Criminal Defense Lawyers Association, Capital Training Session, Creative Approaches to Capital Post-Conviction Litigation in Oregon (April 2006). Oregon Criminal Defense Lawyers Association, Post-Conviction Practice: Litigation Tips, Strategies and Tools, Eugene, Oregon (March 2005). Owen M. Panner American Inn of Court, Jousting With the Justices: Arguing a Case in the United States Supreme Court (Baldwin v. Reese), Portland, Oregon (February 2004). Oregon Criminal Defense Lawyers Association, Exhaustion of State Remedies in Capital Cases, Bend, Oregon (October 2003). Schechmeister Death Penalty College, Voir Dire in Capital Cases, Santa Clara, California (August 2002). Oregon Criminal Defense Lawyers Association, Presenting Cultural Defenses, Portland, Oregon (December 2001). Schechmeister Death Penalty College, Voir Dire in Capital Cases, Santa Clara, California (August 2001). Alabama Criminal Defense Lawyers Association, Keynote Address, 20th Anniversary Annual Meeting (August 2001). University of Oregon School of Law, Creatively Litigating Penalty-Phase Issues, Eugene, Oregon (March 2001). Schechmeister Death Penalty College, Penalty-Phase Closing Argument, Santa Clara, California (August 2000). Oregon Criminal Defense Lawyers Association, Retrials of Capital Murder Cases, Welches, Oregon (October 1998). Ohio Criminal Defense Lawyers Association, Penalty-Phase Closing Argument, Cleveland, Ohio (May 1998). Schechmeister Death Penalty College, Presenting Mitigation in the Penalty-Phase, Santa Clara, California (August 1997). Ohio Association of Criminal Defense Lawyers, Creative Cross-Examination, Columbus, Ohio (October 1997). Oregon Criminal Defense Lawyers Association, Habeas Corpus – Exhaustion of State Remedies, Newport, Oregon (October 1997). Washington Association of Criminal Defense Lawyers, Trial of the Penalty Phase, Seattle, Washington (July 1996). Ohio Criminal Defense Lawyers Association, Closing Argument in the Penalty-Phase, Columbus, Ohio (July 1994). Washington Criminal Defense Lawyers Association, Voir Dire in Capital Cases, Seattle, Washington (June 1994). North Carolina Federal Defender, Creative Closing Argument, Wilmington, North Carolina (May 1993). Federal Defender of Oregon, Creative Closing Argument, Portland and Eugene, Oregon (April 1993). Oregon Criminal Defense Lawyers Association, Trial Techniques in Capital Cases, Portland, Oregon (October 1992). Montgomery County Bar Association, Creative Sentencing Alternatives (August 1991). Ohio Public Defender, Capital Litigation Seminar, Voir Dire, Columbus, Ohio (June 1991). Alabama Judicial College, New Rules of Criminal Procedure, Lecturer, Montgomery, Alabama (November 1990). National Criminal Defense College, Capital Defense Seminar, Faculty Member/Speaker, Chicago, Illinois (October 1990). Colorado Public Defender, Capital Litigation Skills Seminar, Denver, Colorado (October 1990). National Capital Punishment Litigation Conference, Speaker, Airlie, Virginia (August 1990; also Speaker 1981-82, 1984-85, 1987-88; Program Director, 1984-86). Ohio Public Defender, Capital Litigation Seminar, Trial Tactics, Columbus, Ohio (June 1990). Montgomery County Bar Association, Capital Litigation Seminar, Lecturer, Montgomery, Alabama (1989). Cook County Public Defender, Capital Defense (Mitigation) Seminar, Faculty Member/Speaker, Chicago, Illinois (September 1989). National Federal Defender (First) Capital Defense Conference, Lecturer, Orlando, Florida (April 1989). American Bar Association, National Capital Defense Seminar, Special Planning Consultant to ABA, Austin, Texas (February 1989). (Scheduled also as lecturer, postponed due to capital murder trial). Alabama Bar Institute, Appellate Practice Seminar, Appealing Capital Cases, Birmingham, Alabama (January 1989). Alabama Judicial College, Circuit and District Judges Mid-Winter Conference, Capital Law Update, Birmingham, Alabama (January 1989). Montgomery County Trial Lawyers Association, November Meeting, Capital Defense Lecture, Montgomery, Alabama (November 1988). Ohio Association of Criminal Defense Lawyers and Ohio Public Defender Commission, Lecture on Voir Dire in Capital Cases, Columbus, Ohio (July 1988). Alabama Criminal Defense Lawyers Association, Special Capital Defense Seminar, Lecturer, Perdido Bay, Alabama (March 1988). Colorado Bar Association, Annual Meeting, Supreme Court in Review, Colorado Springs, Colorado (September 1987). National Association of Criminal Defense Lawyers, Trial Tactics Seminar, Lecturer, Lake Tahoe, Nevada (February 1987). Loyola University Law School, Guest Lecturer, Chicago, Illinois (October 1986). National Association of Criminal Defense Lawyers, Criminal Defense Seminar, Lecturer, Monterey, California (August 1986). Texas Association of Criminal Defense Lawyers/San Antonio Bar Institute, Annual Criminal Defense Symposium, Lecturer, San Antonio, Texas (April 1986). National Association of Criminal Defense Lawyers, Trial Advocacy Seminar, Lecturer, Orlando, Florida (May 1986). California Attorneys for Criminal Justice, Annual Death Penalty Defense Seminar, Keynote Speaker and Lecturer, Beaumont, California (February 1986). Yale University, Calhoun College, Lecturer, New Haven, Connecticut (February 1986). Alabama State Bar, Capital Litigation Seminar, Program Director and Lecturer, Mobile, Alabama (December 1985). National Legal Aid and Defender Association, Annual Conference, Washington, DC, Lecturer (December 1985). Ohio Public Defender Association, Capital Defense Seminar, Lecturer, Columbus, Ohio (September 1985). Loyola University Law School, Capital Punishment Lecture/Debate, Chicago, Illinois (September 1985). Stetson University College of Law, Lecturer/Panelist, Social Science and Capital Punishment (March 1985). Kentucky Public Advocate Trial Practice Institute, Lecturer, Richmond, Kentucky (November 1984). Tennessee Public Defender, Trial Practice Seminar, Lecturer, Memphis, Tennessee (October 1984). Cumberland School of Law, Samford University, Capital Punishment Debate, Birmingham, Alabama (September 1984). National Association of Criminal Defense Lawyers, Capital Punishment Litigation Seminar, Program Director and Lecturer, Jackson, Mississippi (March 1984). Kentucky Public Advocate, Capital Punishment Seminar, Lecturer, Barren River, Kentucky, (December 1983). Ohio Public Defender, Capital Punishment Litigation Seminar, Lecturer, Cleveland, Ohio (November 1983). Cleveland Bar Association, Capital Punishment Seminar, Lecturer, Cleveland, Ohio (November 1982). Vanderbilt Law School, Tennessee Capital Punishment Seminar, Lecturer, Nashville, Tennessee (October 1981). California Attorneys for Criminal Justice, Trial Practice Seminar, Lecturer, San Francisco, California (September 1981). National Jury Project, Capital Punishment Seminar, Lecturer, Oakland, California (March 1980). University of Minnesota College of Law, National Lawyers Guild Skills Workshop, Lecturer, Minneapolis, Minnesota (August 1979). Mercer University Law School, Capital Litigation Lecture, Macon, Georgia (April 1979). Southern Prisoners Defense Committee, Capital Punishment Seminar, Lecturer, New Orleans, Louisiana (March 1979). Ohio Public Defenders Association, Capital Punishment Seminar, Lecturer, Columbus, Ohio (July 1978).